Radiators are a vital part of any home, but they don’t have to be boring, mass-produced metal rectangles. Our sleek designer radiators are produced with care and attention to detail to create uniquely elegant models that complement your home rather than being merely functional. 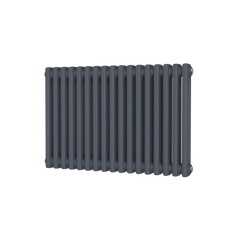 Our radiators include models from a six-column cast-iron product to a vertical white version - bear in mind that these items can go up as well as across a wall! Our range includes something for everyone, whether your home has contemporary styling or you've gone for a more traditional look. We can help whatever your budget and whatever size of radiator you are looking for. 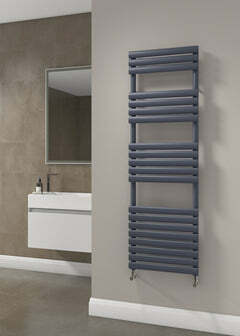 Finally, check out our towel radiators which will make your bathroom cosier - we also supply radiator valves. Ask us about our designer radiators today and take the first step to a warmer, better looking home. 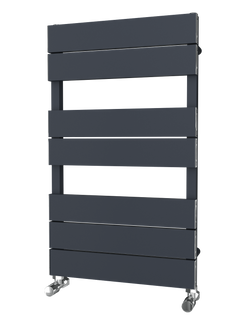 The Trade Range - Stainless Steel Straight Towel Radiator is a fantastic ladder towel rail, and represents amazing value for money. 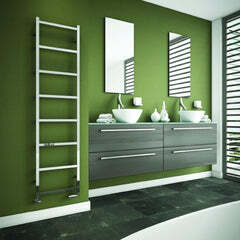 This Stainless Steel Towel Rail would make a fantastic addition to any bathroom or kitchen. ﻿This quality is reflected in the very long guarantees offered.